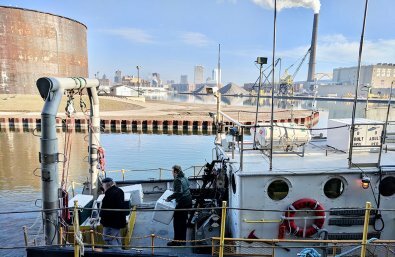 Harbor District, Inc. ($42,000)With support from the Fund for Lake Michigan, the Harbor District will advance a number of initiatives aimed at improving water quality and habitat in Milwaukee’s Port and Inner Harbor, as well as in the surrounding neighborhoods. Along with installing green stormwater infrastructure and promoting habitat improvements, the Harbor District will also design an innovative “Trash Wheel.” This removal mechanism will capture 90% of garbage on the Kinnickinnic River before it ever reaches the harbor, and is based on Baltimore’s acclaimed “Mr. Trash Wheel” that has found so much success.